Q: Is a bigger furnace or air conditioner better? A: No, it is not. Bigger is not always better in the HVAC industry. 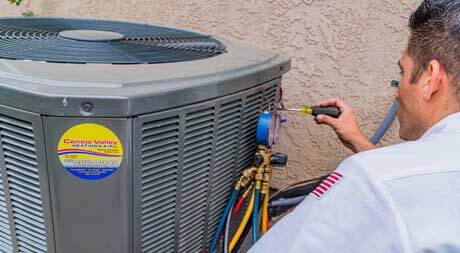 A larger air conditioner uses more electricity and costs more to purchase, install, and upkeep. A properly sized unit will provide the most efficient energy use and most comfort in your home. When buying a home comfort system, selecting the right size is crucial. For instance, an air conditioner that is too large will cool your home quickly, but you still may not feel comfortable. It will satisfy the thermostat before it can remove sufficient moisture from the air. However, a system that is too small just cannot get the job done. We can help you determine the right size system for your home comfort needs. Q: How Often should I change my filters? A: Check filters every two months and replace as needed. Q: I would like to upgrade to a new high-efficiency furnace or air conditioner. Do you offer financing? A: Yes, we offer financing with approved credit. 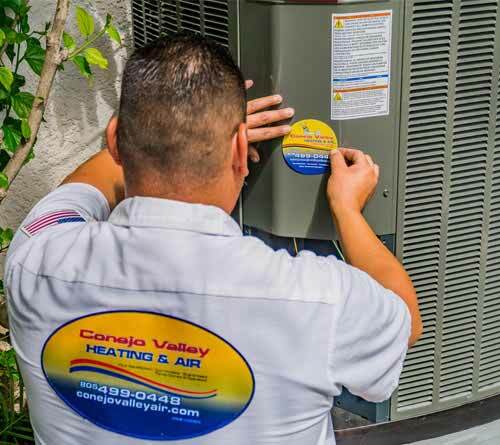 Call Conejo Valley Heating and Air Conditioning to ask about your specific needs. Q: I like to keep my house very cool in the summer. Would a new unit help with costs? A: If you have a 15 year old unit it could be as little as 6 SEER. 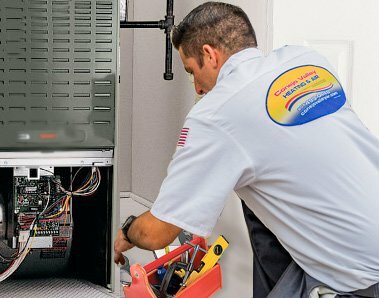 Most people set their thermostat around 78 degrees in the summer to save costs and with a new high-efficiency air conditioner, you could save as much as $600 per summer on a typical 4-ton unit while having your thermostat set a few degrees colder. Q: What are the benefits of a programmable thermostat? A: A programmable thermostat is programmed for when you leave your house and then return home. The thermostat turns off the furnace during the hours you are not home so that energy is not used to keep the house warm while you are at work. The thermostat will then turn back on 30 minutes before you come home so your house is at the perfect temperature when you are home. These thermostats save up to 15% on your energy bills during the winter and 10% in the summer. Q: Why are furnaces and air conditioners so noisy? A: They are not noisy if you install new components in your system. Old units were not built with the quality materials that are used today. Some products also come with sound insulators on the compressor as well as a weather guard top that not only reduces noise but increases the life of the unit by not letting debris get into the system. Q: When I am on vacation should I turn off my furnace to save energy? A: Common settings are 85 degrees in the summer if you have air conditioning and 60 in the winter if you will be gone for a couple of days. These settings will keep most plants alive and will keep pipes from freezing and bursting in the winter. Q: Do I run any risk by accepting the lowest bid? A: YES! If a bid comes in 5-10% lower than other companies it is because they are using inferior products, do not do a quality installation, or are leaving something out of their bid. 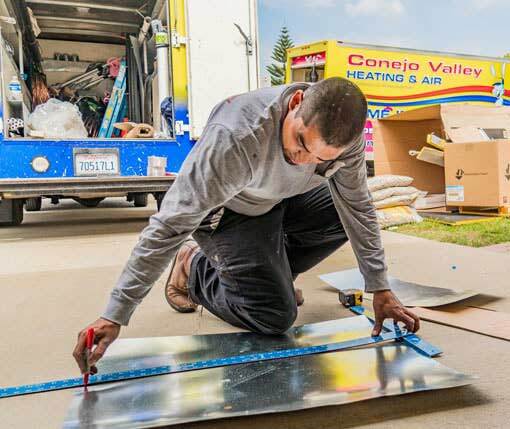 Many companies will not pay for permits or schedule the inspector to come to your house. 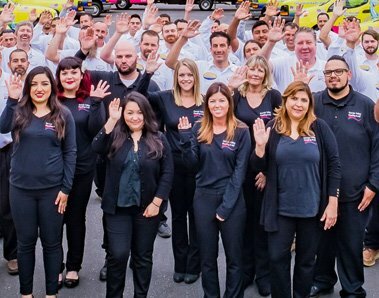 Conejo Valley Heating and Air Conditioning does all the work for you, you just need to relax and enjoy the comfort and energy efficiency of your new system. If your heating and cooling system is over 10 years old, you’re probably cheating yourself out of energy and money. You could be paying 30-50% more in utility costs than you should be. We can help you lower those bills and make you more comfortable at the same time. Heating and cooling your home uses more energy dollars than any other system in your home. Typically, 44% of your utility bill goes for heating and cooling. You can save money and increase comfort by properly maintaining and upgrading your equipment. An energy-efficient furnace or air conditioner alone won’t have as great an impact on your energy bills as using the whole house approach. By combining proper equipment, upgrades, and maintenance with appropriate thermostat settings, insulation and weatherization, you can cut your energy bills in half. Clean or replace your filters once a month. Clean registers as needed and make sure they’re not blocked by furniture or carpeting. Use household fans wisely. Turn them off as soon as they’ve done their job. Keep drapes and shades open on south-facing windows during the heating season to allow sunlight to enter your home. Close them at night to reduce the chill. Close an unoccupied room and turn down the thermostat or zone to that room. Set your thermostat as high as it is comfortable. Set the fan speed on high except in very humid weather. When it’s humid, set the fan speed on low. Use ceiling fans to spread the cooled air more effectively. Don’t place TVs or electrical appliances that generate heat near your thermostats. Plant trees or shrubs to shade air conditioning units but don’t block the airflow.